Looking for an inexpensive way to keep kids entertained now that school is out for summer? 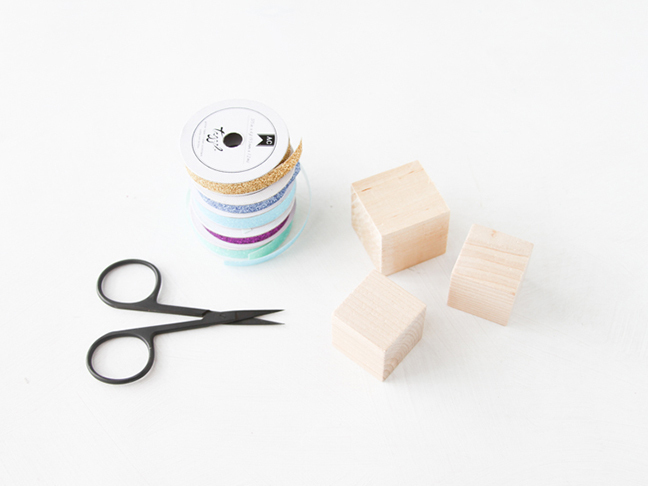 Well, there are tons of great craft projects here on Momtastic that you can try. 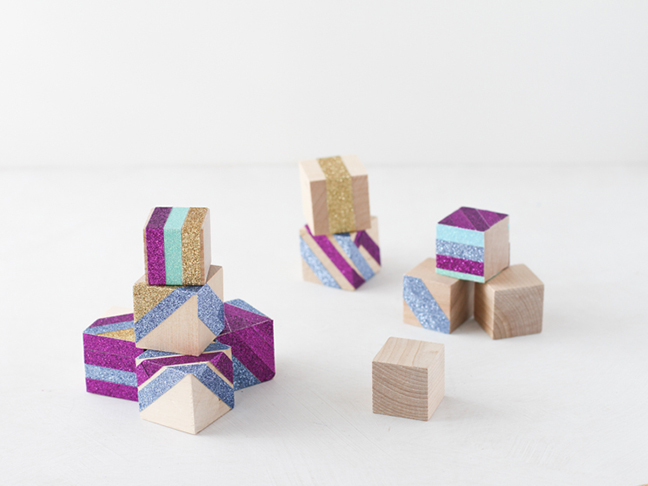 Including this one for DIY stacking blocks that kids can make on their own and then play with for hours, stacking the blocks into cool forms and shapes. 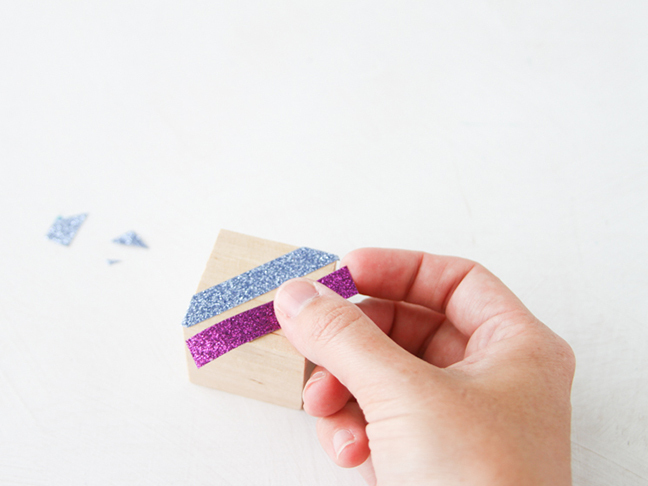 You’ll only need three items to make these blocks, and there is no mess at all, which means clean up will be a breeze. 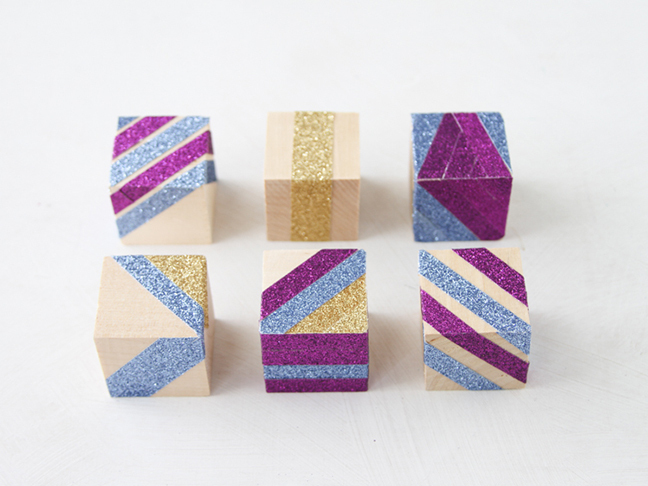 No mess for glitter blocks? I know, right? 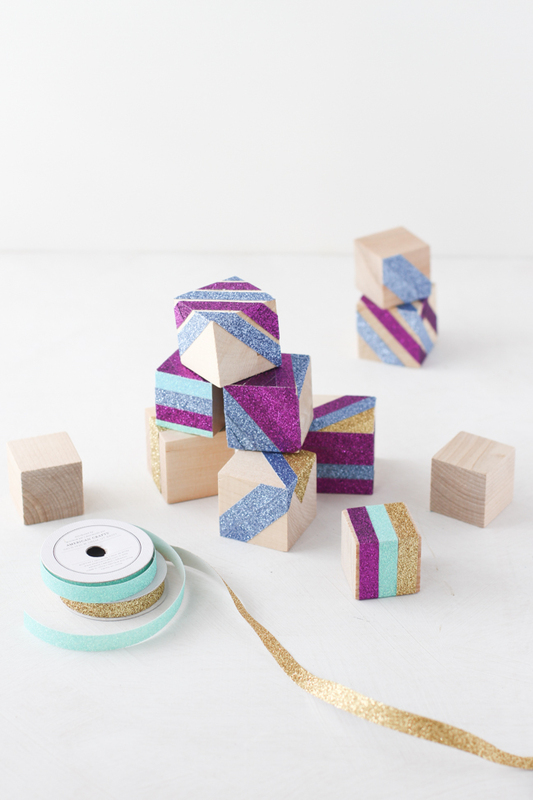 For this project, you use glitter tape instead of glitter and glue, so it’s completely mess free and takes almost no time at all to make. 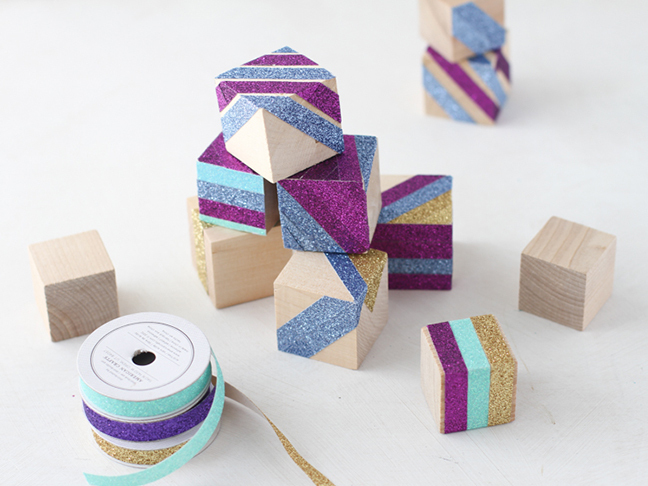 Here’s how to make your own set of stacking DIY glitter blocks. 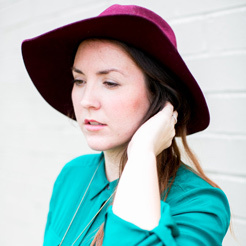 Step 1: Brainstorm some simple designs for your blocks, like triangles, stripes, etc. 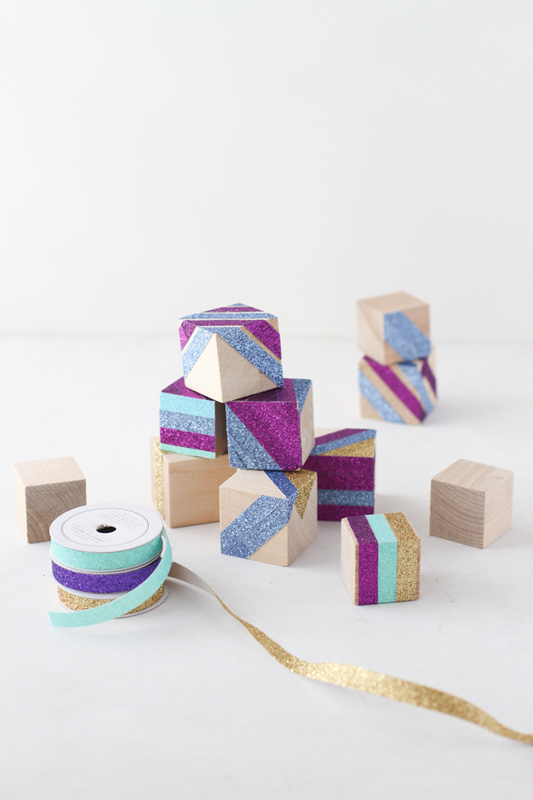 Then cut a piece of glitter tape slightly longer than what you need. 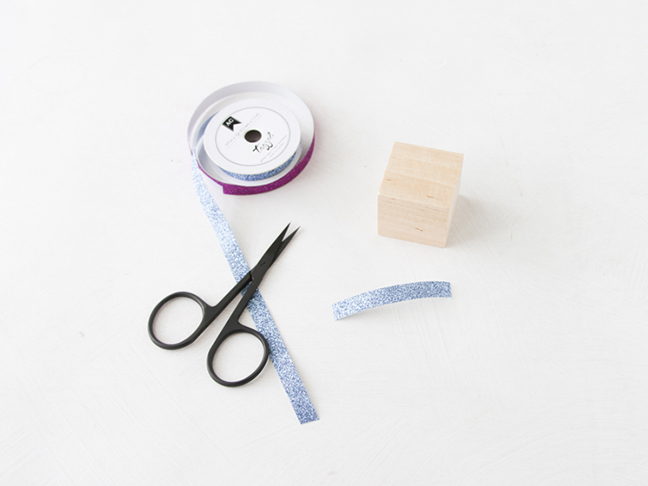 Note: You can precut pieces of tape to avoid having kids working with scissors, if you prefer. Step 2: Remove the tape backing and attach the tape to the block. Press down firmly. 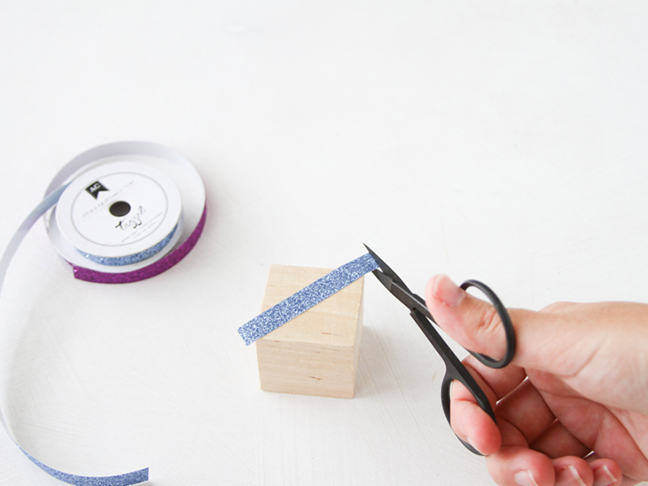 Step 3: Then, cut off the excess tape that is hanging over the side of the block. 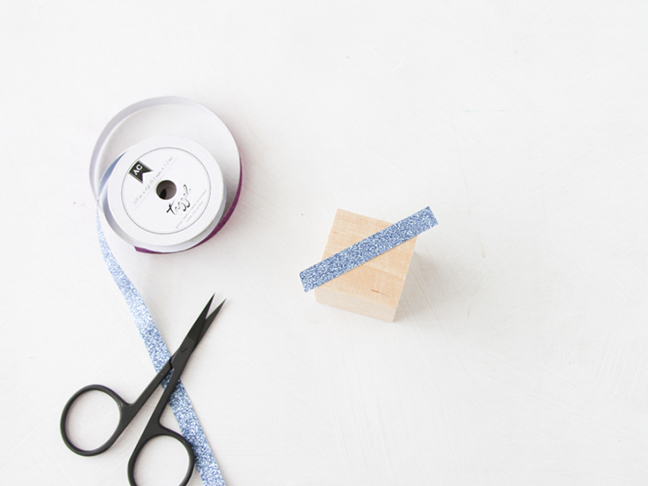 Step 4: Continue the design by applying another piece of tape the same way you did the last. Step 5: Make as many blocks as you want, and then the kids are ready to build imaginary lands and play fun games. This would make a great birthday party craft project too because it’s fast, easy, and mess free.